A place on the beautiful island, Gili Air. With the best service concept, the Raja Bar & Restaurant serves the best quality for the food and beverage on the island and with a friendly price, friendliness become our pleasure. for your accommodation, Salim Cottage provides rooms with Air Conditioner, Hot & Cold water shower, Free WiFi, with a direct view to the sea and also a very beautiful garden view. Completeness of facilities in this place be our privilege to you, movie theatre upstair the restaurant availability to increase pleasure in enjoying the tranquility of the island. For those who want to do trips like snorkeling trip, fishing trip, mountain tracking, etc. Our services also provide tourist information to organize your trip itinerary. Click here to find out what kind of activities you can do in this beautiful island. we just hope, you have incredible holiday on our beautiful island, but still do not splitter on Gili Air! 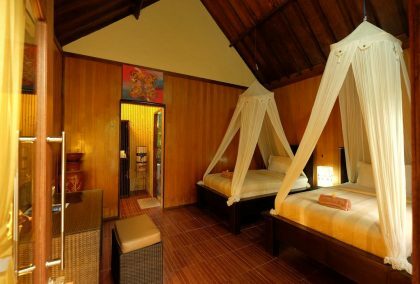 Standard Twin Room with Garden View is the best place for you and your family holiday. Paradise on Earth. 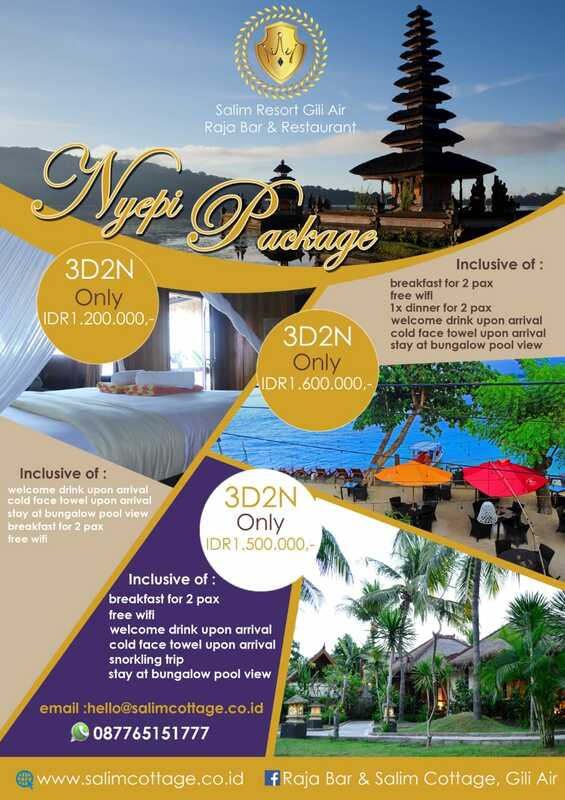 Information: (+62) 8776 5151 777, fb: Raja Bar & Salim Cottage, Gili Air. For more information klik Book Now, Thank You! :). Best place for you and your family holiday. Paradise on Earth. Information: (+62) 8776 5151 777, fb: Raja Bar & Salim Cottage, Gili Air. For more information klik Book Now, Thank You! :). 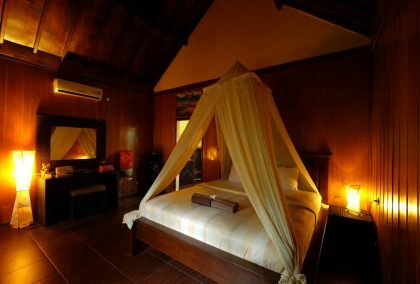 Located on Gili Air, Lombok, NTB, Indonesia, Great savings on hotels in Gili Air. Good availability and great rates. Read our hotel reviews and choose the best room deal for your stay.